This year, a group of seniors received a very special Easter surprise made by a women’s ministry group and delivered by a local church. These Easter bags were lovingly made for each senior at the apartments with their needs in mind. Each bag containing food, essentials, goodies, and a special gift for the senior. 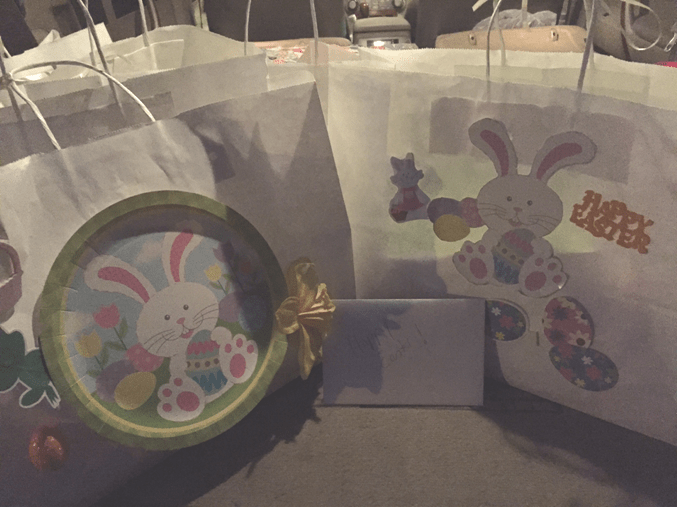 As the church joyfully delivered the bags with a “Happy Easter” greeting, many of the residents commented on how long its been since they’ve received anything for Easter and how much they appreciated being thought of and cared for in this very special way. What a simple joy it is to serve someone in such a sweet way. Taking care of the least of these. Share the post "Easter Giving"